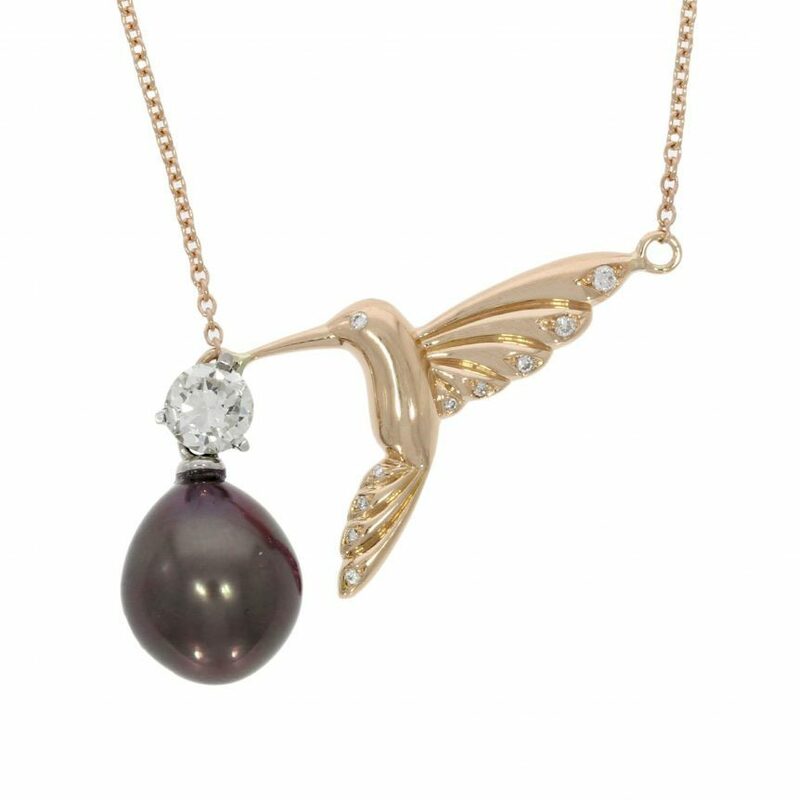 An absolutely beautiful 18ct rose gold, diamond and pearl set pendant consisting of principal diamond in a white gold claw setting and a tahitian pearl drop with a gorgeous rose gold CAD designed hummingbird design with delicate grain set diamonds into the wings and suspended from a 18ct rose gold trace chain. 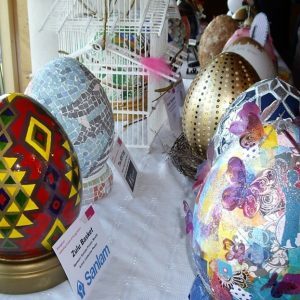 “After receiving the vision of an iridescent hummingbird in a meditation, Nicholas Wylde came into my mind as the obvious choice to make my vision tangible. For years I had been considering remodelling my grandmother’s engagement ring into something that would remain meaningful to me but would get more use than sitting in a box gathering dust! Nicholas had previously designed my wedding ring and a gorgeous bangle that I wear daily so I felt confident he would create a thing of beauty that suited me and my lifestyle. After numerous emails back and forth with images and sketches, I met Nicholas at his Bath studio to review the final design – which was incredible. 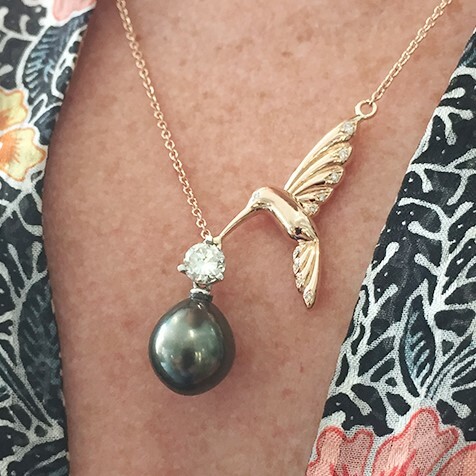 Elements of my grandmother’s engagement ring were to become a beautiful hummingbird pendant with diamonds, rose gold and an alluring black Tahitian pearl especially sourced by Nicholas. The black pearl was an inspired suggestion by Nicholas as it mimics the iridescence of a hummingbirds feathers. I couldn’t wait to see the final result!